Alabaré is a charity and we rely on donations to continue our life changing work - providing care and support to homeless adults, young people, veterans and those with learning disabilities. The reason we are still here after 25 years, and still helping vulnerable people, is because of you - our supporters. There are so many ways you can donate - see below for details. Every penny you give will help us to support someone in need. donors, and maintaining the highest standard of fundraising practice. If you have any reason to make a complaint please click here for more information. Click the button to make a donation from your PayPal account. We are grateful for every donation we recieve, but it is only the commitment of regular donors that enables us to plan ahead and guarantee support for our work. Set up a regular donation online via Stewardship. If you are donating via BAC's please use the details below. Donating via CAF is a great way to make a difference. You can donate online via the CAF website. If you would like us to use your donation for a specific Alabaré home or service, please select "add special instructions" and let us know where you would like your donation to be spent. We can also accept CAF card, cheque or vouchers - please send these to us at: Alabaré, Riverside House, 2 Watt Road, Salisbury, SP2 7UD. Donating via text is a quick and easy way to give. Text ALAB01 plus the amount you'd like to donate to 70070. For example text 'ALAB01 £5' to 70070 to donate £5. Text Giving is a quick and easy way to donate to Alabaré. If you've already texted a donation, thank you so much. You’re helping to transform people’s lives. Alabaré will receive 100% of all text donations! So every penny really does count. If you would like to donate £5 to us, just text ALAB01 £5. Your text will be charged at £5 plus one message at your standard network rate (based on your service provider rates). Please note if you text after the keyword incorrectly or short code wrong when you text, you may still be charged and your donation may not reach Alabaré. Alabaré does not accept any responsibility whatsoever for any technical failure or malfunction or any other problem with any telephone, telephone network or line, system, server, provider or otherwise which may result in any text being lost, delayed or not properly received. There is no limit on the number of times you may make a donation via text but there is a daily limit on text donations. You will not be able to donate more by text from the same number on the same day, but you may still incur your standard network message charge if you try. Please make all cheque's payable to "Alabaré Christian Care & Support"
We always like to send a thanks and a reciept for your donation so please make sure you write your name or the name of your church/organisation plus your contact address on the back of the cheque. Please call 01722 322882 with your card details to hand. Leaving a gift in your Will is a wonderful way to ensure our homes and services can continue their vital work and is one of the most significant ways that you can support us. It can also reduce inheritance tax liability on your estate, as legacies to a registered charity are tax-free. You should always take legal advice from your solicitor before making or amending your Will. You can find out more about leaving a gift to us in your Will here. For more information please call Fundraising on 01722 466004 or email fundraising@alabare.co.uk. Payroll giving is an easy and tax efficient way of giving regularly to Alabaré. Because it is taken from your pay before tax is deducted, Alabaré receives the full amount donated. 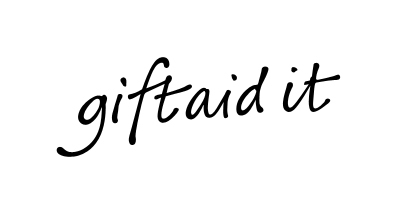 If you pay tax please also consider gift aiding your donation as we will receive an extra 25p for every pound donated. For more information email fundraising@alabare.co.uk or speak to the person responsible for your payroll at work. You can also set up payroll giving through Stewardship online - click here for more details.